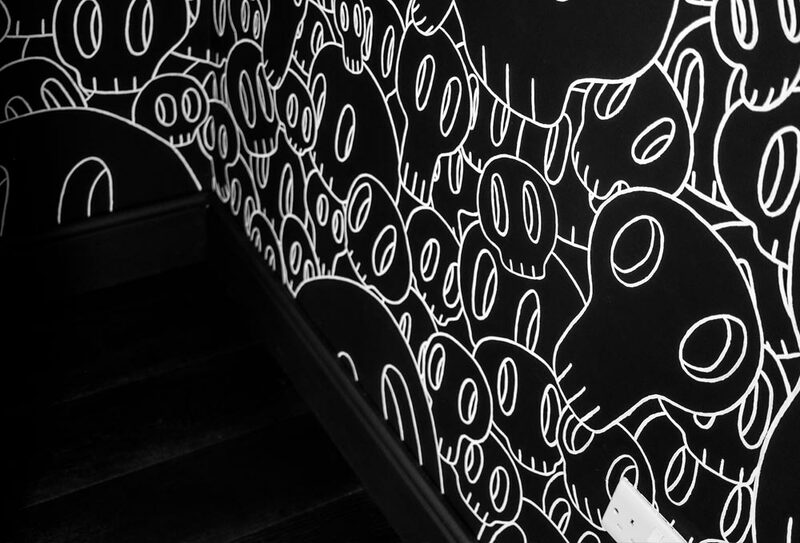 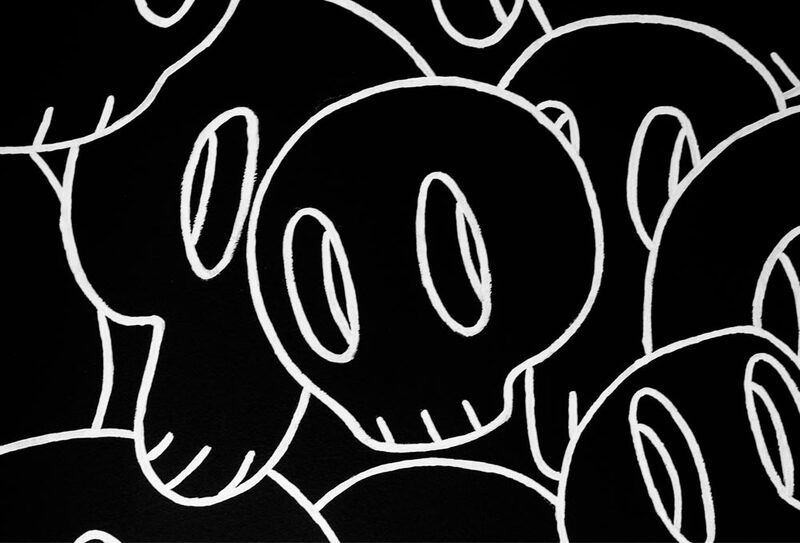 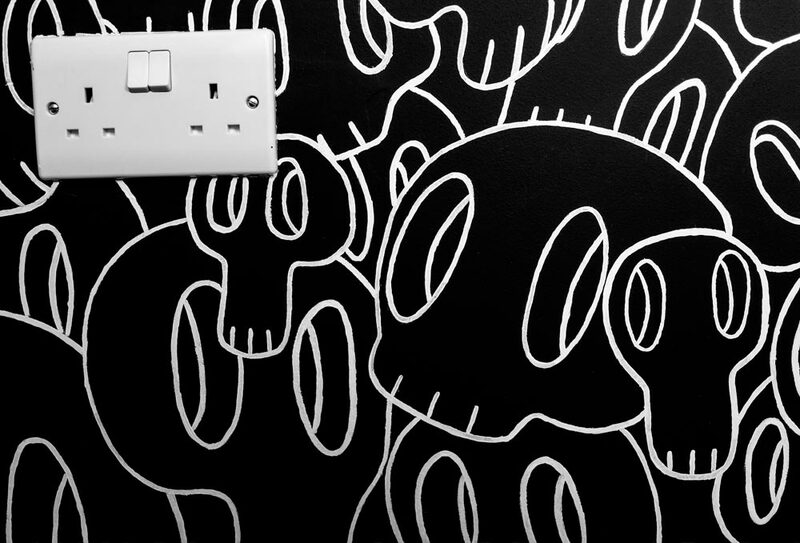 A hand painted black and white mural, featuring 400 skulls. 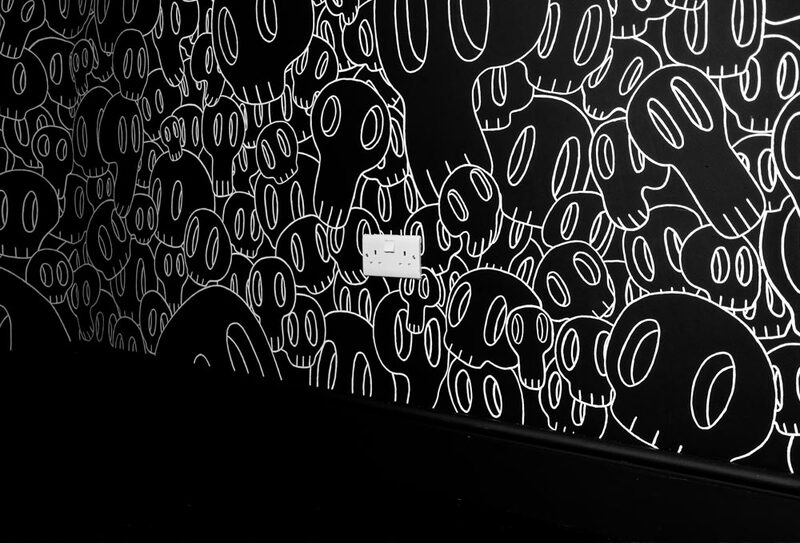 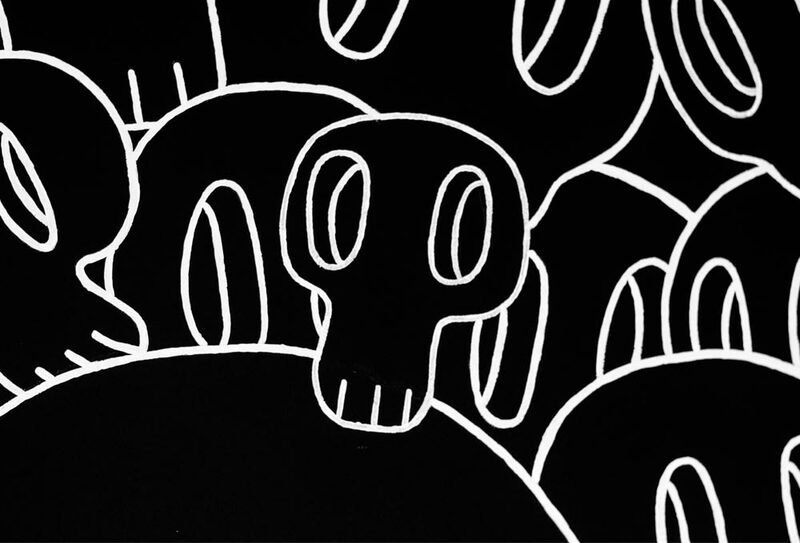 Spanning a 3.9 x 2.4m area, the skulls float amongst the black void, watching those that inhabit the room. 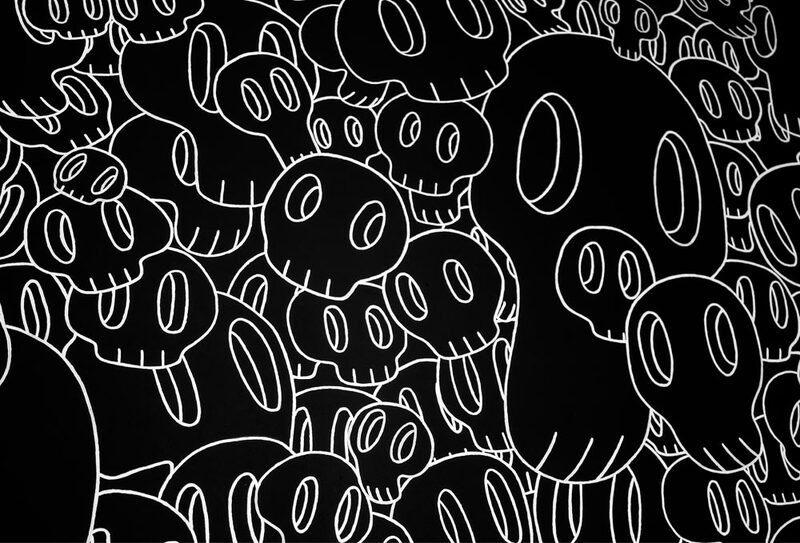 Watch the video below to see the process, details and full piece.